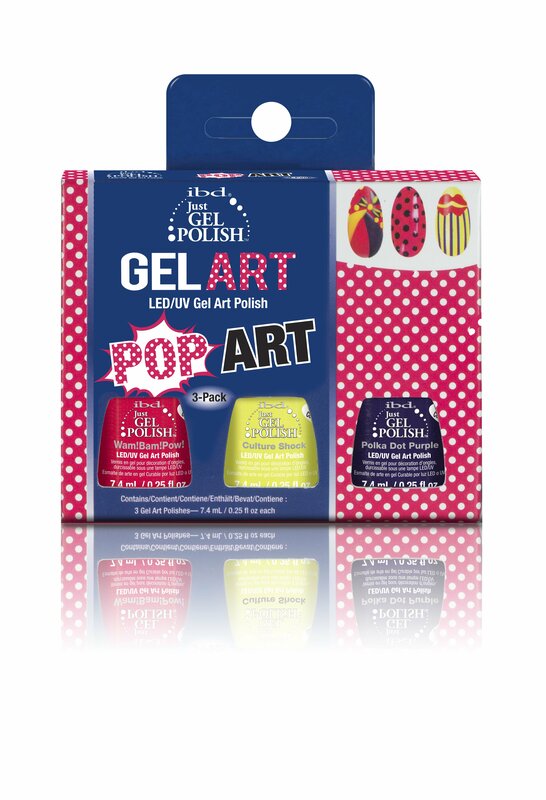 Get creative with the ibd Just Gel Pop Art Kit! Contains 3 contrasting bold bright shades, essential for colour mixing. Each polish provides coverage in one coat and has a fine detailer brush to help you create intricate nail shapes and designs, the perfect solution if youﾒre looking to extend your treatment menu to include nail art. LED/UV curable. Each coat cures in 30 seconds under LED light or 2 minutes under a UV light. Be inspired and go wild!